To curb military suicides, should funds go for sit-ups or psychologists? The U.S. military’s Special Operations Command has come up with an un­or­tho­dox and aggressive plan to deal with the alarming rise in suicides among America’s top commandos. The premise: A strong, resilient body will lead to a stronger, more resilient mind. The problem: Lawmakers who are being asked to fund the plan think it is a misguided idea. In the context of the massive defense budget, the disagreement over a relatively small amount of money — about $23 million — has turned into a surprisingly heated spat between lawmakers and a command that for the past 12 years has been accustomed to having the Pentagon and Congress grant its requests. 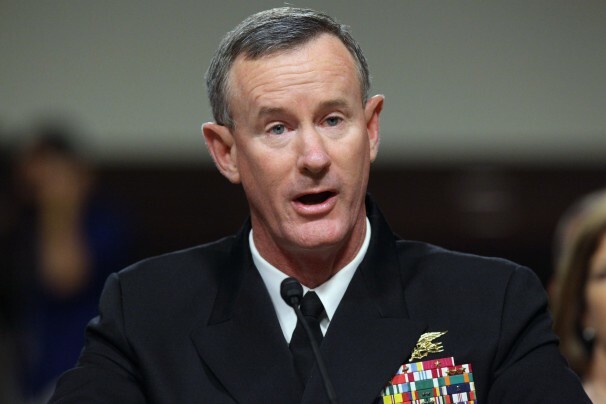 [caption id="" align="alignnone" width="606.0"] Chip Somodevilla/GETTY IMAGES - Adm. William McRaven, who leads the Tampa-based command, said in a speech that reducing the suicide rate among special operators is his number-one priority. To deal with the problem, McRaven and other top Special Operations officials broke from the playbook used by their brethren in the regular Army and Marine Corps forces, who have poured money into hiring extra mental health counselors, psychiatrists and psychologists. Instead, the command asked Congress for $48 million in 2015 to hire physical therapists, dieticians, sports psychologists, and strength and conditioning specialists to work with troops. For lawmakers on the House Armed Services Committee, the budget request is further evidence that the Special Operations Command has not grasped the roots of the suicide problem. They redirected $23 million from the command’s request to pay for more mental health experts and criticized the commandos, accusing them of recalcitrance. “The committee is concerned that targeted suicide [prevention] programs within the command remain nascent and slow moving given the troubling suicide statistics across the forces,” according to the committee’s version of the 2015 defense bill. Special Operations’ approach to suicide prevention places “too much costly emphasis . . . on improving physical readiness with costly military construction and multi-year service contracts for physical therapists, strength and conditioning specialists and sports dieticians,” the lawmakers wrote. The command’s senior leaders have fought back, saying that desk-bound lawmakers do not understand the mind-set of hard-charging commandos or the unrelenting physical demands of their jobs. They point to internal studies that show that special operators who work with high-end physical therapists, sports dieticians and strength coaches experience less depression, post-traumatic stress, alcoholism and other maladies typically associated with suicide. They also say that the money they are requesting for their unconventional effort, which is known inside the command as the Human Performance Program, is a relative pittance, costing only $2,200 a year for each special operator. By contrast, the command spends about $500,000 to train each of its special operators over a three- to five-year period. The battle over the Human Performance Program became particularly heated in April after Special Operations officials were told by lawmakers that they had mistakenly overbudgeted for the program this year. Facing a $10 million shortfall, command officials were forced to lay off recently hired physical therapists, sports psychologists and nutritionists. Some of the experts had been on the job for only a few weeks and had relocated across the country for the jobs. Special Operations officials said that in the chaos surrounding last year’s long and tumultuous budget process, they mistakenly assumed that they would be getting $26 million for the Human Performance Program, about $20 million less than the command had requested. Instead, the command received only $16.5 million. The budget mistake was the result of an innocent miscommunication between lawmakers and the command’s leadership, its lawyers and its accountants, according to Special Operations officials. Some congressional staffers, however, were not convinced by that explanation and suspected that the command had simply chosen to redirect $10 million to the effort from lower priorities in the hope that lawmakers would not notice the shift. They noticed, and so, too, has Special Operations’ top commander, who is now trying to scramble for more funds.